​Brendan Rodgers has not given anything away regarding the future of Leicester City centre-back Filip Benkovic, as his loan spell at Celtic draws to a close. Following a successful time with the Glasgow club, the young Croatian will return to Leicester at the end of this season with his future undecided. Rodgers has gotten to know the player very well, having been manager at Celtic up until the end of February, but the Leicester boss is happy to take his time over the decision on the defender's whereabouts next year. Speaking highly of the young player, Rodgers said, as quoted by the Daily Mail: "The whole plan for him was to get him game time. We took him up to Celtic which was a huge club with big pressures to play. He has done very well." It seems that given his recent arrival as manager, he will be discussing the matter with the backroom staff at the club before deciding whether Benkovic is ready to make the step up to the ​Premier League. "It is just a case of the scouting department understanding, which they do," he added. "They know the profile of players I would like. That is on-going so it doesn't really disrupt the work we will do between now and the summer.'" With Rodgers yet to take charge of a transfer window while at the ​Foxes, it remains unclear how he will approach the development of his squad. The Croatian defender, who is yet to receive a call-up to the national team, is likely to have a fight on his hands for first-team football at the King Power Stadium if he is to stay with the club next season. In his short tenure so far, Rodgers has seemingly preferred the centre-back pairing of ​Harry Maguire and Jonny Evans, and with Wes Morgan recently signing a one-year contract extension, Benkovic could expect to be fighting it out with Caglar Soyuncu for fourth choice. However, the 21-year-old will have gotten used to playing regularly this season, as well as gaining exposure to European football in the Europa League and may be reluctant to swap this for a spot on the bench. 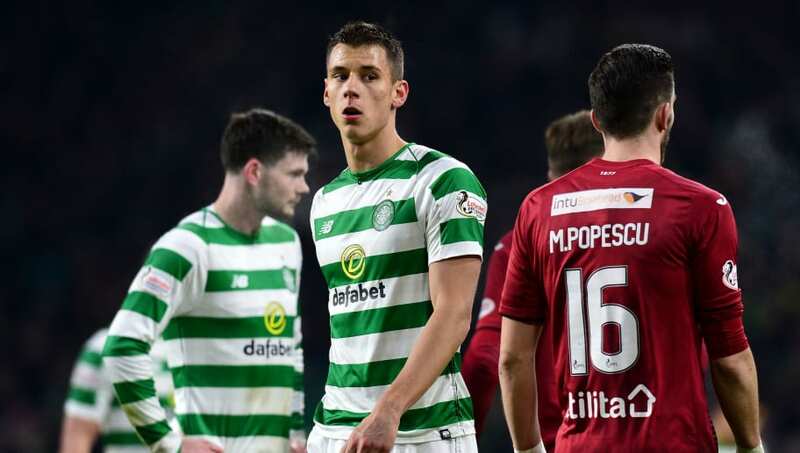 With his age and the experience he has gained, Benkovic is likely to be in high demand should he become available in the summer.